Hinged Segment Ring. 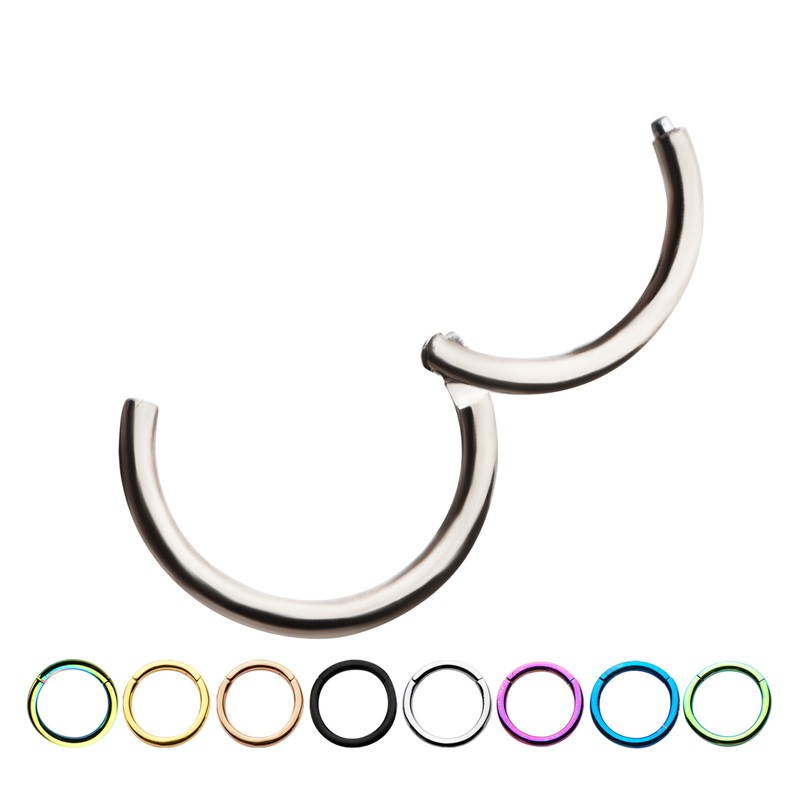 The Hinge On This Hoop Allows The Wearer To Easily Snap The Ring Into Place And Prevent Losing A Small Segment Piece Again. Perfect For Septum, Cartilage, Nostril, Lip, And Various Ear Piercings. Made From 316L Surgical Steel. Sold Induvidually.